We here at Goodwin are preparing for our graduation ceremony, coming up in a couple weeks. This year’s guest speakers are civil rights advocate U.S. Congressman John Lewis of Georgia and legendary UConn basketball coach Jim Calhoun. While we wait for June 7th, why not check out some commencement speakers of the past? 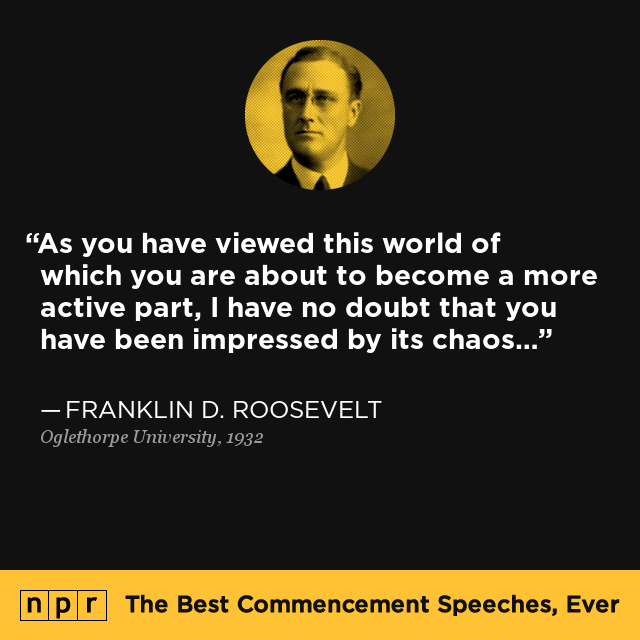 NPR has created a searchable, indexed database of what they are calling The Best Commencement Speeches, Ever. Posted on 20 May, 2014 21 May, 2014 by ConorPosted in Conor's CornerTagged Commencement Speeches, graduation ceremony.